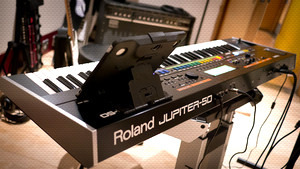 KitMonsters – Roland Jupiter-50. 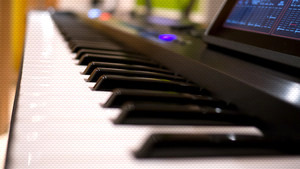 The music makers’ guide to making music. 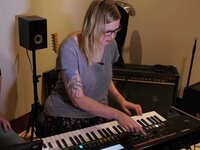 The Jupiter-50 is designed to be a performance synth, but one that’s at home in the studio too. It can play up to six different sounds at the same time. It’s editable with 1900 sounds built in to the unit, including classic analog synth tones from the SH series, and 117 acoustic sounds. 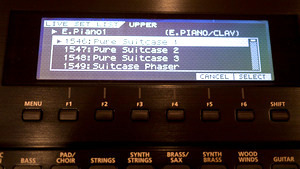 The synth has a 76 note keyboard and is lighter in weight than the Jupiter-80, so easier to transport. 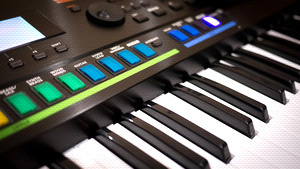 It impressed our testers Amir Amor (Rudimental) and Laura Kidd (She Makes War) with its great upright piano sounds, synth tones and realistic bass. Video blog here. You can put your WAV/AIFF/MP3 backing tracks in via USB, and there’s a simple recorder too, as well as an input for an instrument such as a guitar. 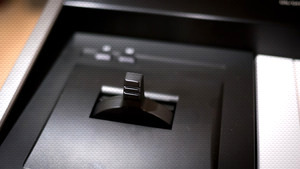 Performance controllers include D-Beam, pitch/mod lever, and control input jacks. More tech info at Roland.